You may wonder what Mahabaleshwar has in store for you besides panoramic views, magnificent rolling hills, verdant valleys, and an overdose of strawberries. Food, of course! And the burst of berry and fruity surprises in this breath-taking hill station may leave you thinking, ah desserts! No, not just that. You’ll be delighted to know that Mahabaleshwar has its fair share of amazing restaurants where sweet and savory dishes are plated up to perfection. 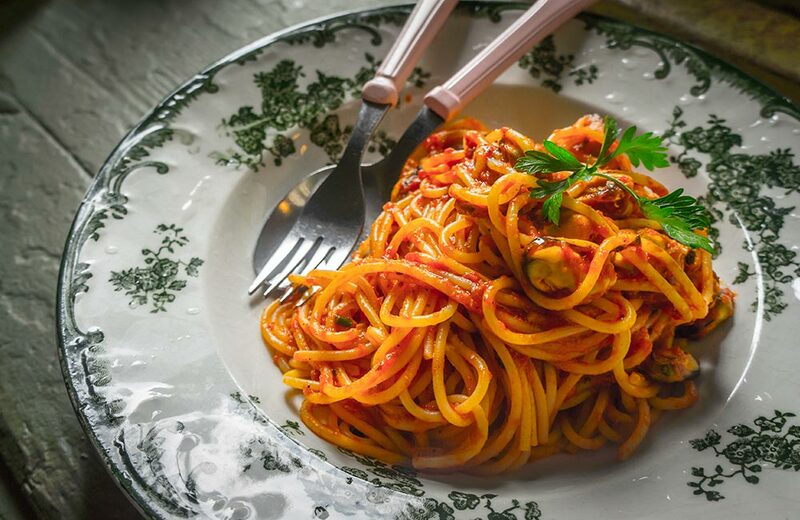 Whether you are a Chinese food fanatic, Italian cuisine lover or a hard-core desi foodie, this small town in Maharashtra has it all! Take a look at our specially curated list of restaurants in Mahabaleshwar that will make you divinely indulgent. This plush restaurant on Masjid Road is beautifully done and houses a wine bar inside it. 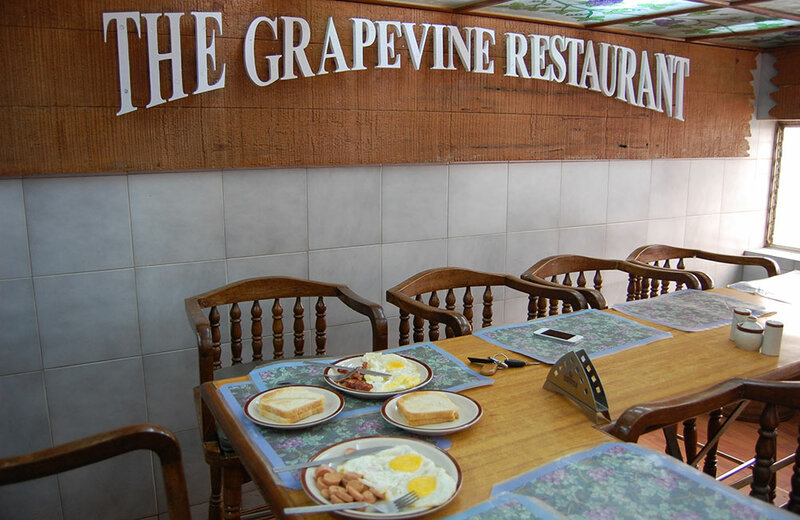 The Grapevine is definitely a luxe surprise you would least expect in the hilly zones of Mahabaleshwar. Owned by the creative and talented chef Raio, this restaurant is renowned for its Parsi, Mediterranean, and fresh seafood delights. The fresh catch including tiger prawns, salmon, lobster and more is perfectly cooked and spiced to make you fall in love with seafood all over again. The humungous Mutton Keema Burger that is served with scrumptious Harissa Mayo and Feta is a crowd-puller. 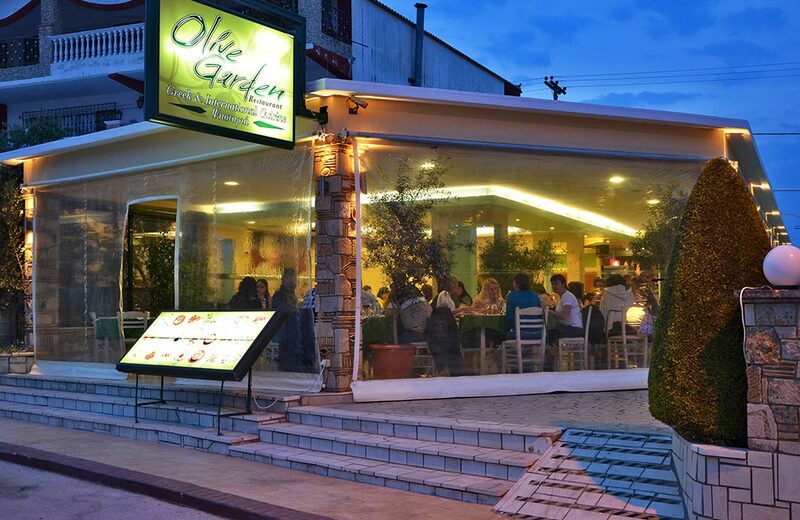 What’s more, the place gives you Mediterranean vibes with its delightful wine list. You could also choose to wash down all that delicious food with chilled beer! 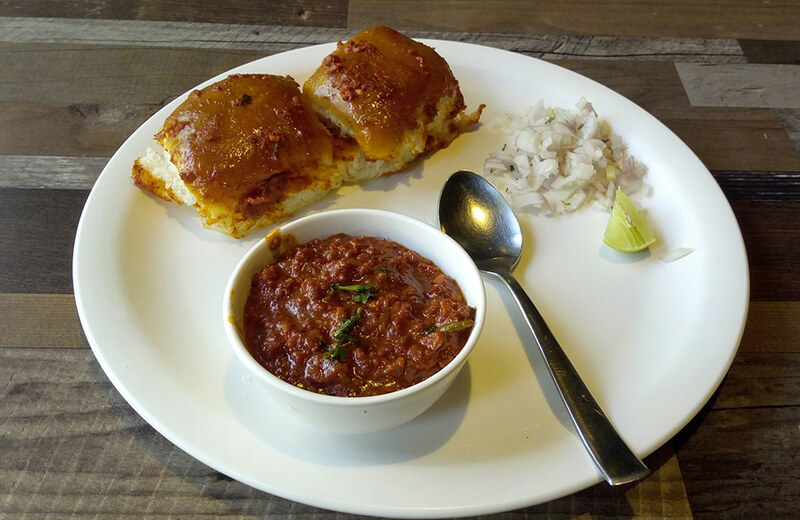 Your trip to Mahabaleshwar is incomplete if you return without taking a dig into the amazing food at Saayali, located strategically opposite the ST Bus Station. Set inside a glasshouse-inspired exterior, the eatery has well-lit and welcoming interiors. The special menu of the day displayed at the entrance is inviting and informs you about the daily delights. 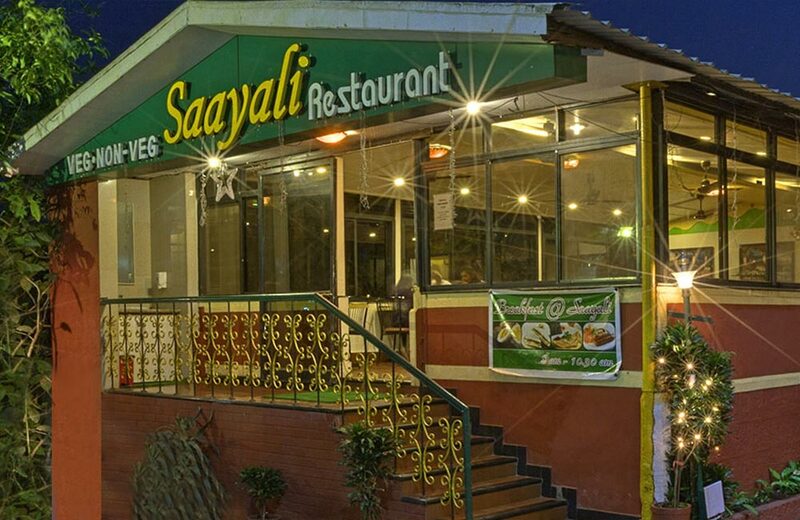 Saayali is one of the best non-veg restaurants in Mahabaleshwar known for its delish chicken preparations. The vegetarian and non-vegetarian delicacies from the Indian, Chinese, and Continental cuisines that are listed on the menu will leave you drooling. This is a great place for a fam-jam after an eventful day around the strawberry capital of India. In the same complex as Saayali is another great eatery, called the Sizzler Place. This is one of the best restaurants in Mahabaleshwar to chill out with your foodie gang for a non-vegetarian fare. 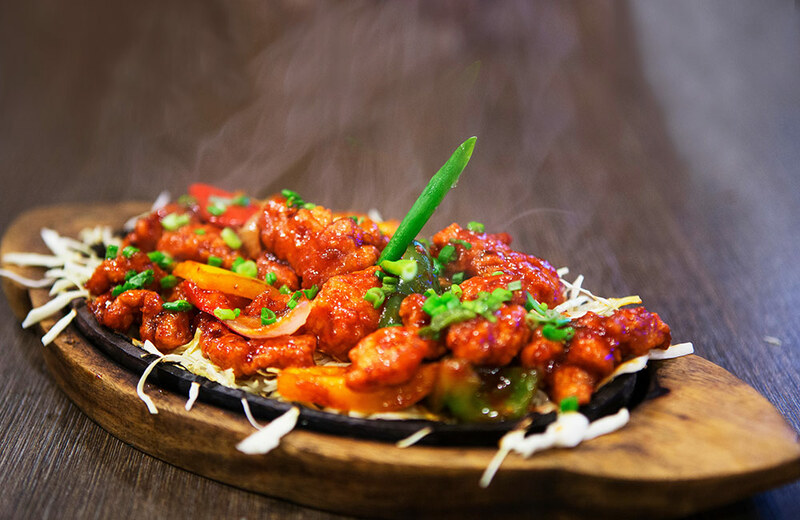 Known to be the only sizzler place in the hill town, this restaurant serves non-vegetarian, vegetarian, and Chinese sizzlers, starters, and sizzling chocolate brownies. The restaurant also houses a bar for imported beer and exotic cocktail lovers. This kid-friendly restaurant has special kiddies’ sizzlers for the little ones. With a well-lit ambiance inviting you to indulge in heavenly delights, the Sizzler Place is a must-visit when you are in Mahabaleshwar. If you are looking for affordable and good non-veg restaurants in Mahabaleshwar, this place is a definite must-visit. Meghdoot is a multi-cuisine restaurant luring travelers with an extensive menu that covers Indian, Chinese, and Continental fare quite marvelously. 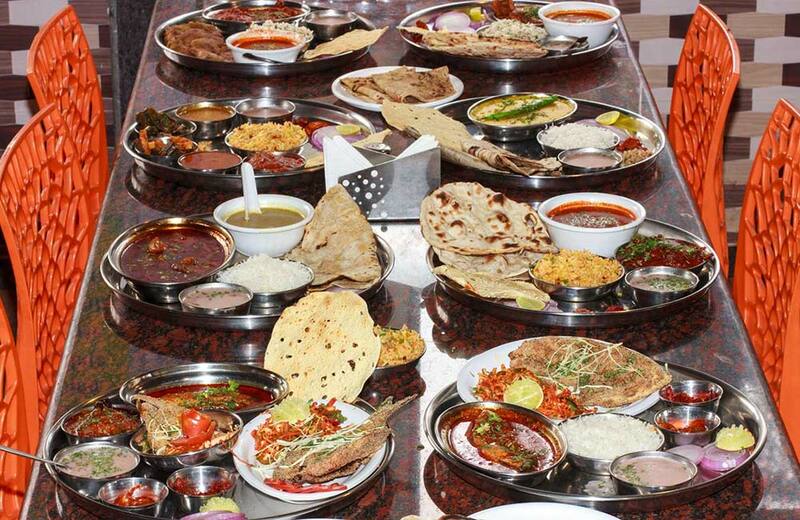 In the Indian fare, Maharashtrian, Gujarati, and Mughlai are the lip-smacking specialties served here. 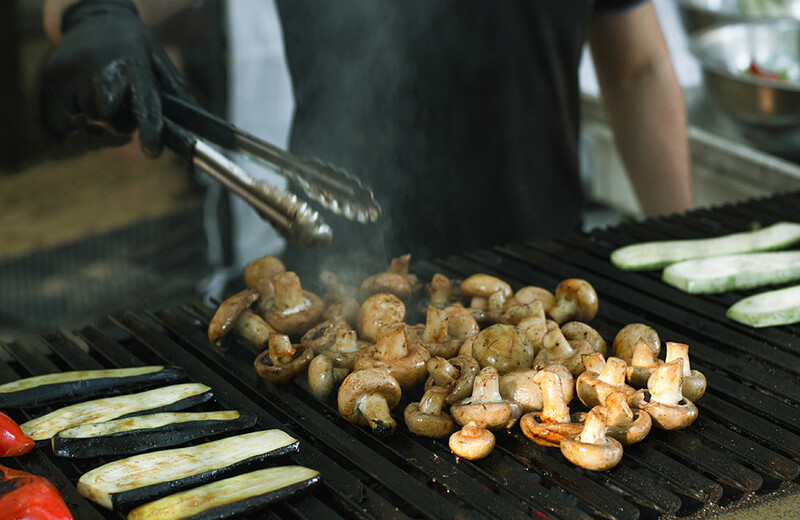 Chicken and other yumilicious seafood preparations are irresistible and the restaurant has a cozy little Shawarma and Kebab corner for quick bites and an in-house bar as well. Inside Brightland Resort, Angaare serves the choicest array of Indian barbeque delights under the stars. The freshest ingredients are served delightfully through the charming culinary creations by Angaare’s chefs. This al-fresco restaurant serves scrumptious veg and non-veg Kebabs and mains which match up to modern gastronomical standards. This is a perfect spot for couples to enjoy a warm and romantic meal while rekindling their love for each other and passion for amazing food. Offering both veg and non-veg Indian and Asian cuisines is this friendly neighborhood eatery where you can have a hearty non-vegetarian meal. 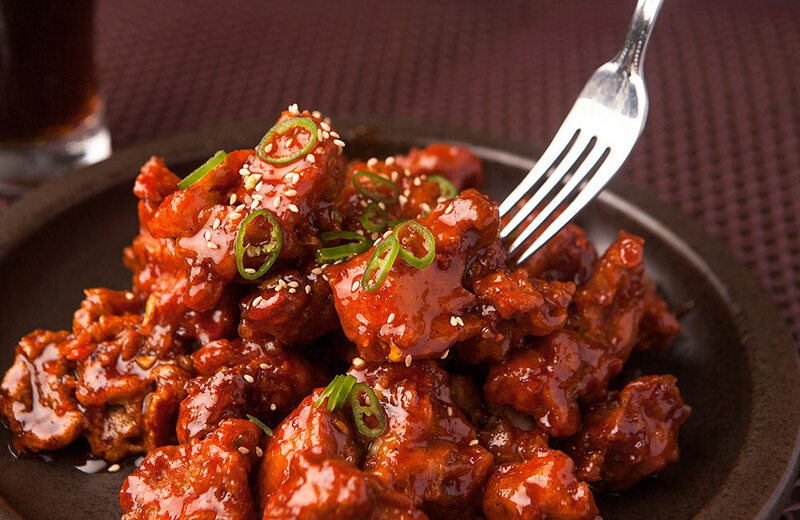 The amusing menu with entertaining names given to chicken dishes will bring a smile on your face. The restaurant has a rustic countryside look while chicken curries served in earthen clay pots look and taste astounding. The attentive service and the good portions will make you come back to Mulberry Inn for more. The restaurant is linked to a budget accommodation facility for a quick layover. If you are looking for some budget hotels in Mahabaleshwar to crash out after a long day of walking and sightseeing, this place could be an ideal pick. Your gastronomic tour through Mahabaleshwar is incomplete without having binged at the Royal Garden restaurant. 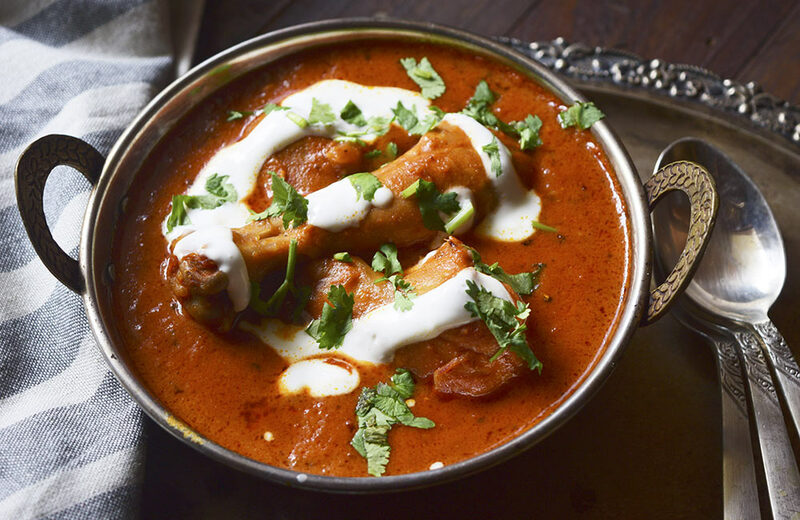 Serving Konkan, Maharashtrian, Mughlai, Punjabi, and Malvani fare, this multi-cuisine eatery blends contemporary hospitality with amazing food. This spacious family diner offers free Wi-Fi and has a good buffet arrangement. The mutton and seafood dishes served here will make you go bonkers while their decadent fresh fruit ice creams will pamper your sweet tooth. Located in the chic Keys Hotel is this plush café that offers travelers a great respite from the hustle and bustle of the city. After a long day of sightseeing, you can unwind here over delicious non-veg snacks and hot drinks. The comfy seating and the classy interiors with a well-stocked bar are all you need to lift your spirits up. Outstanding food – Italian, Chinese, and Indian cuisines – and undeniably great service are the key features of this cute café. The eatery also serves buffet for the voracious foodies. This multi-cuisine restaurant serves a fine range of Mughlai and Punjabi delicacies. The place might be small, but what it lacks in size, it makes up for in food quality and a cozy ambiance. The locals swear by the Kebabs and tikkas at Aman, not to mention the other succulent non-vegetarian delicacies in the menu. Lunch or dinner, you cannot go wrong with their butter naans and pahadi kebabs either! This vegetarian-friendly food court serves the most amazing grilled sandwiches, pizzas, and fast food in town. The limited but interesting menu has items to make your little ones happy. Known for its strawberry-based ice creams, smoothies, and desserts, Mapro Garden is every strawberry lover’s haven. 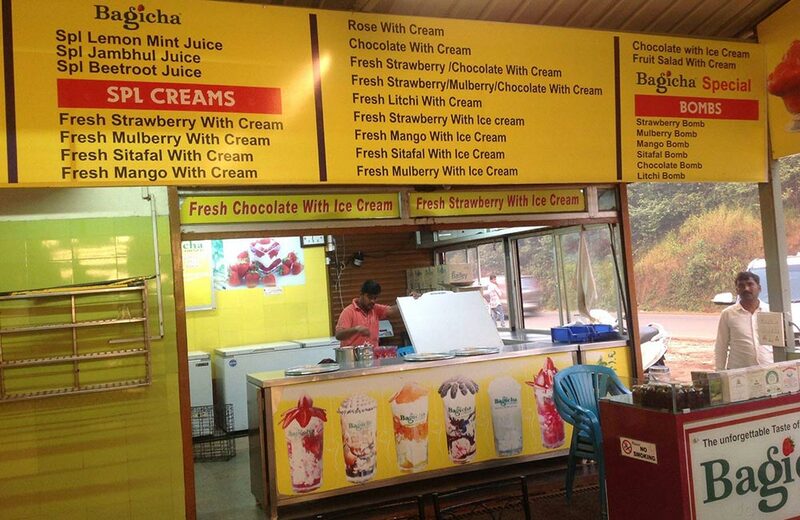 And what’s more, it’s located at a fresh strawberry harvest garden in Panchgani. You must try their strawberry and whipped cream dessert which includes a bed of the sweetest farm-fresh strawberries topped with strawberry syrup and layers of whipped cream, Yum! The Margarita Pizza is awesome and so are the classic sandwiches. The slice of Italy right in the middle of Mahabaleshwar – that’s what Olive Garden is! 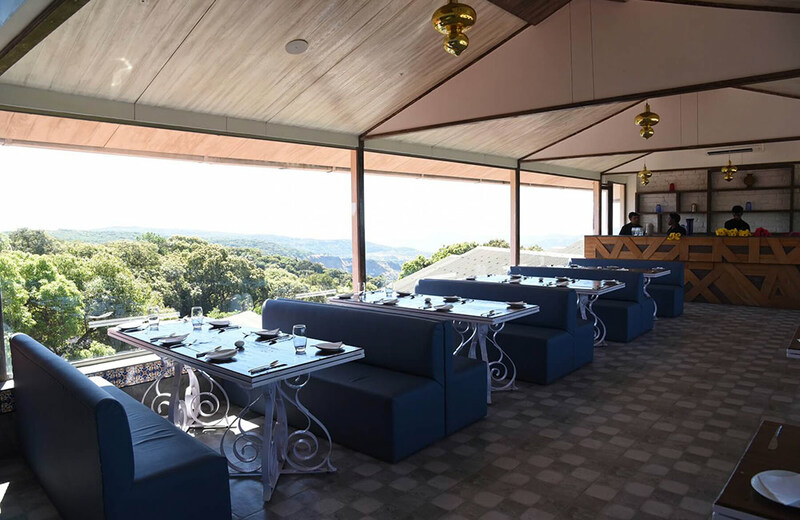 Located in Brightland Resort, this fine-dining venue is all about catering to your Italian food cravings while enjoying the mind-blowing vistas of this hill station. 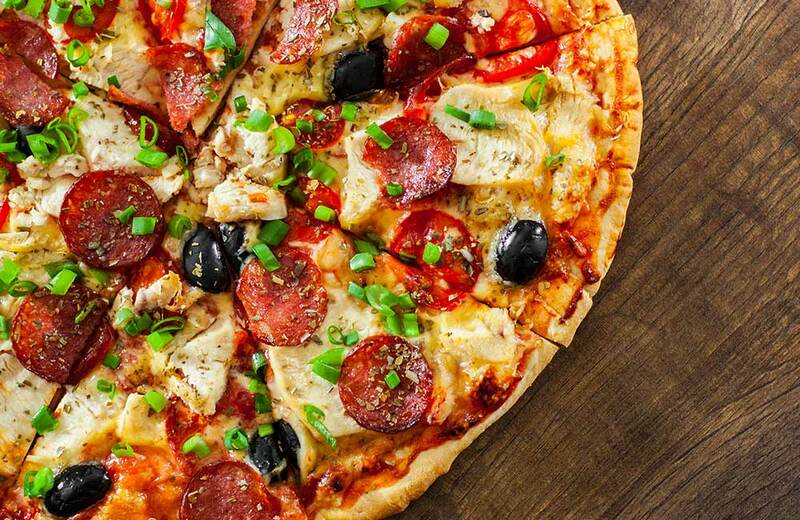 Jaw-dropping views coupled with some piping-hot pizzas, fresh oven-baked bread, crunchy salads, creamy pasta, great wine, and more will bowl foodies over. You can indulge in either the a la carte menu or the extensive buffet. The lavishly done interiors, décor, and the grand glass windows deserve a special mention. This is one of the best veg restaurants in Mahabaleshwar where every bite becomes a fond memory. A place true to its name, Farmhouse Bistro delights diners with its Mediterranean marvels. This eatery is strategically located at one of the best hotels in Mahabaleshwar, Hotel Dreamland. The freshest veggies and produce from the local farms are served with utmost care and culinary skill at this open-terrace eatery. Woodfire pizzas, creamy pasta, and fresh salads always delight food connoisseurs. The mesmerizing aroma of extra-virgin olive oil has to be experienced first-hand. Special dishes like Charred Peach and Quinoa, Melon and Feta Bread and Roasted Beet Carpaccio offer ultimate sensory gratification. This open-air eatery offers a one-stop indulgence venue for dessert lovers who want a full dose of the sweetest strawberries, tongue-tingling ice cream, and delightful milkshakes. Located along the Panchgani-Mahabaleshwar road, this vegetarian-friendly eatery is a pit stop for weary travelers to re-energize on the delectable offerings. The exclusive menu features dishes ranging from Makkai specialties to North Indian snacks and Jain food. The place also serves varieties of Pakoras, Veg Sandwiches, Corn Pattice, and Burgers too. A specialty here is the assortment of fresh fruit bombs which are absolutely tasty and quite satisfying. This exclusive list of the top restaurants in Mahabaleshwar proves that the small hilly town is not just home to amazing scenery and decadent strawberries, but also to a wide range of epicurean experiences. What more could you ask for while holidaying in the lap of nature?